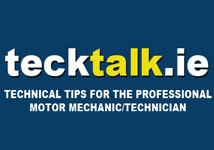 Home » News » Complimentary Automechanika tickets! Messe Frankfurt, the organisers of Automechanika are offering 50 free day tickets, worth €34 each at the gate to AutoTrade.ie readers. To redeem your free entry tickets please email Antje Strietholt: antje.strietholt@uk.messefrankfurt.com quoting reference ‘IREAUM’ and confirming how many days you would like to visit the show.